With its magnificent foliage in rich autumn colors, a garden croton exudes in living spaces comfort and good mood. The wonderful varieties of Codiaeum variegatum, with the impressively ornamental leaves, act also as an invigorating air freshener. 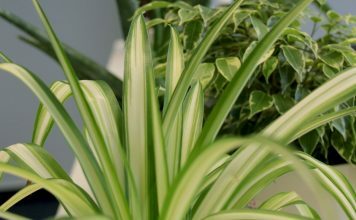 No wonder that the tropical, evergreen ornamental plant is at the top of the list of the most popular indoor plants. 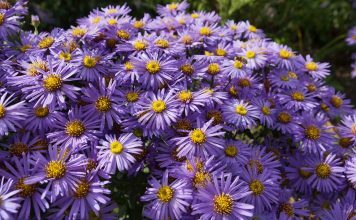 This care guide explains in detail how you can educe its most beautiful sides. 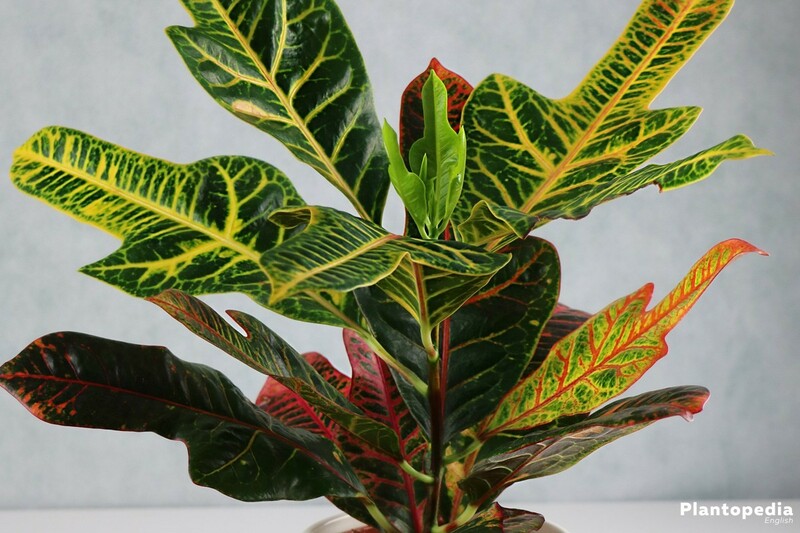 With a croton, an indoor plant enters your home, whose terrific ornamental leaves turn every living space into a tropical retreat. The tropical Codiaeum variegatum achieves this masterpiece through a glowing play of colors in intense autumn colors and a majestic height of 200 cm. 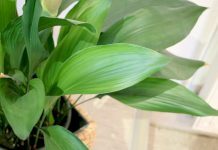 The up to 30 cm long and 10 cm wide leaves filter pollutants from the indoor air, for the sake of your health and vitality. So it is hardly surprising that a croton plant in colloquial language took the name wonder tree. 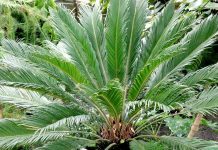 Here, you will find detailed care instructions on how to cope with this exotic plant. As an euphorbia plant, croton has a white, poisonous milky sap. Intentional or unintentional consumption causes typical poisoning symptoms in humans and animals, such as nausea and vomiting. Skin contact can cause swelling and inflammation. 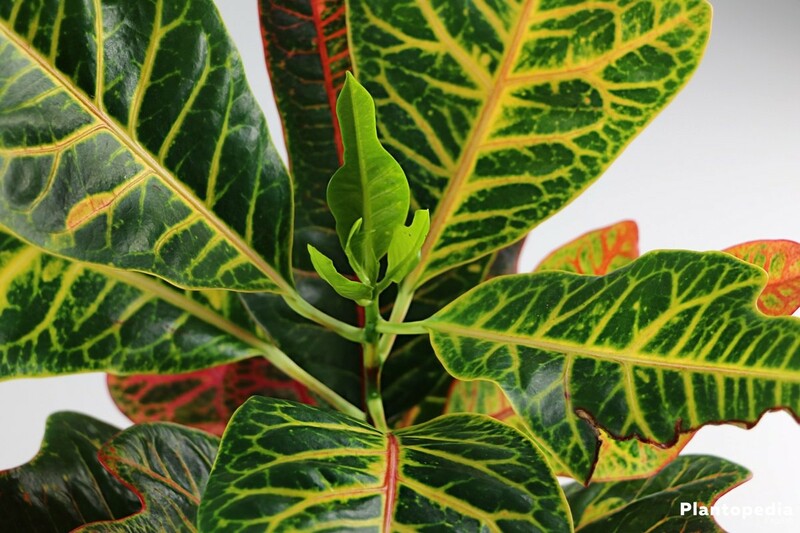 Croton is not one of the nursing lightweight plants. Mother Nature certainly did not create the magnificent plant with the aim of living in the living room. Where the roots are pressed into a pot, set up in a dry windy place, the exotic wonder tree finds no ideal conditions. Since a Codiaeum variegatum is already shivering at mild 15 degrees Celsius, an existence in the open air is excluded in the Central European climate – except for short summer guest appearances. In order to offer an acceptable home to a croton, you should focus on the following care instructions. This will be successful only if all the measures described are taken as a whole. The choice of location is crucial for a successful care. The closer the light and temperature conditions are to the conditions in its natural habitat, the more glorious the bright colors of the leaves unfold. The desired light is guaranteed to croton at a place on the south window sill. Here, however, it is impossible to do without a curtain, which reduces the strong summer sun during the noon hours. Thus, windows, which are oriented to the west, south-west, south-east or east, are more suitable. A location with lower light intensity makes the intense colors fade away and deprives the wonder tree of its unique beauty. In addition to the adequate light and temperature conditions, a high humidity of more than 60 percent is achieved. Normal indoor climate does not meet this requirement, so additional measures are required. 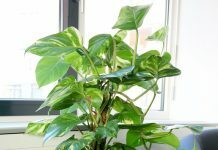 In the immediate vicinity of the plant humidifiers or indoor fountains solve the problem perfectly. Bowls with water placed on an active radiator can also help. Fill the saucer with expanded clay pebbles and water; the evaporating moisture creates a microclimate pleasant to croton. In the best case, you can give the wonder tree a sunny place in the bathroom or the indoor swimming pool. The water balance is oriented to the natural vegetation cycle in the tropical climate. A croton knows only two seasons: a warm, rainy growth phase, followed by a cool, dry dormancy period. Please use mainly filtered rainwater or stagnant tap water in room temperature. Cold, calcareous water affects the vitality of a Codiaeum variegatum and increases the pH of the soil, which can lead to leaf chlorosis. Your croton appreciates a gentle mist. Fill daily soft, lukewarm water into a spray bottle to bathe the top and bottom parts. This measure also ensures that the desired humidity is maintained. During the winter’s heating season, this provision also acts as an effective defense against pests, such as the dreaded spider mites. This part in the care instructions is particularly simple. Fertilize a croton from March to August every 14 days with a liquid fertilizer for green plants. It is important to ensure that you do not apply the product to a dried soil, but water before a little bit with clear water. A targeted pruning back should be the exception for your croton. 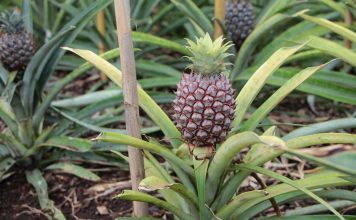 Due to the abundant flowing milky sap, after pruning, there is the danger that the plant bleeds. If, however, the wonder tree outgrows, cut the very long shoots at the end of the winter break. The cuttings are washed with warm water and then dusted with rock flour or charcoal ash. Please keep in mind the toxicity of the plant juice and carry out the work with safety gloves. Do not cut out the withered leaves. As soon as croton has absorbed the nutrient residues it contains, it releases a dead leaf, so that it is easily plucked off. From October to February, the wonder tree falls into a winter growth rest. A place directly above an active radiator is thus unsuitable for accompanying croton to the cold season. Better in this phase is a location on a sunny window sill in the unheated bedroom or in a bright niche on the cool staircase. Keep your croton out of the winter quarter in March; keep an eye on the pot. If the roots have developed in such a way that first strands grow out of the bottom opening, it is time to put it into a larger pot. For soil, we recommend structurally stable, peat-free compost. The addition of expanded clay or lava rock granules improves the permeability. 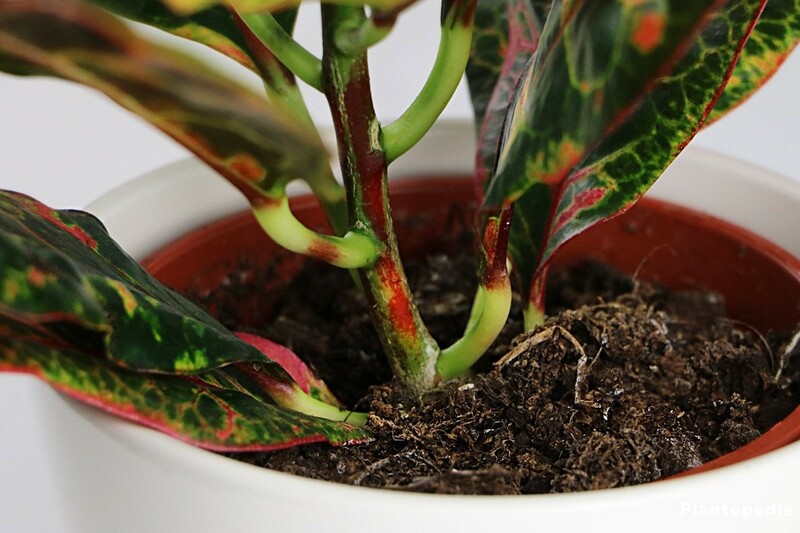 Measure the plant depth so that croton is not lower than before. A space left from the pot to the soil level prevents the water-soil mixture from overflowing during frequent watering. The disused soil should be removed as completely as possible after the potting. On this occasion, keep a close eye on the root ball to cut off dead root strands. 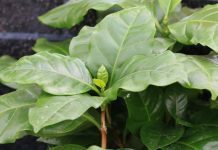 For further croton plants is recommended the classical propagation method. 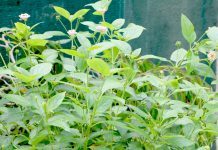 With this method of vegetative propagation, you raise young plants which have the same characteristics as the mother plant. Water the propagation soil until water runs into the saucer. 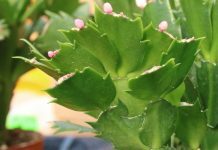 Put a transparent cover over each pot to provide the cuttings with a moist, warm microclimate. Small wooden sticks serve as spacers, so that the material does not touch the plant parts and trigger decomposition. At the half-shade window place the rooting proceeds rapidly at 25 degrees Celsius. 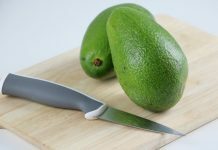 If a cutting is fresh, the cover can be removed. In the course of the following 5 to 6 months, water regularly, while a strong root system develops. 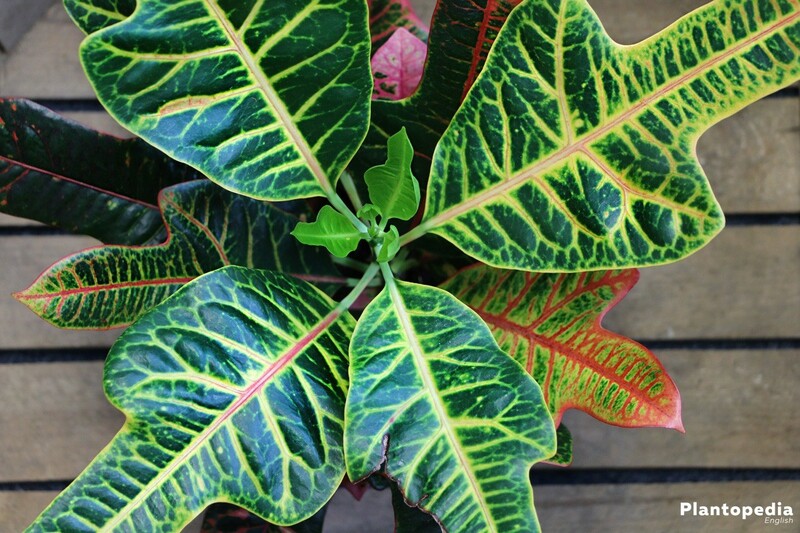 Despite its foreign origin, a croton proves to be delightfully resistant to plant diseases. What appears at a first glance to be a disease is usually the result of failure in caring. 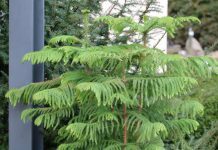 When the colored ornamental leaves become gradually green, it is neither a disease nor a maintenance mistake. 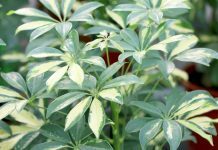 The variegated hybrids strive to adopt the green foliage of their wild species. Stop this process by cutting out the green leaves consistently. Please ensure in advance that the greening is not due to a too dark location. 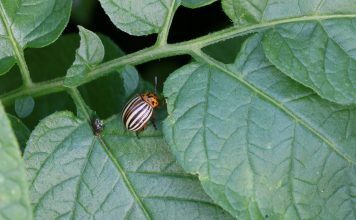 The poisonous milky sap does not protect a croton from pest infestation. Crippled leaves indicate an attack with sucking insects such as aphids, mealybugs and woolly aphids. 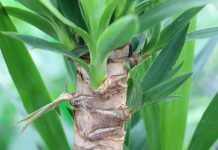 At the first signs of a pest infestation, the affected wonder tree should be isolated from the other indoor plants in order to prevent the spread. In the early infestation stage, shower the pests with high pressure water. Aphids are effectively combated with a mix of 1 liter of water and 1 tablespoon of soft soap. Stubborn mealybugs and woolly aphids should be wiped with an alcohol-soaked cloth. Under high impact, pack croton in an airtight plastic bag for 3 to 4 days so that the pests run out of air. 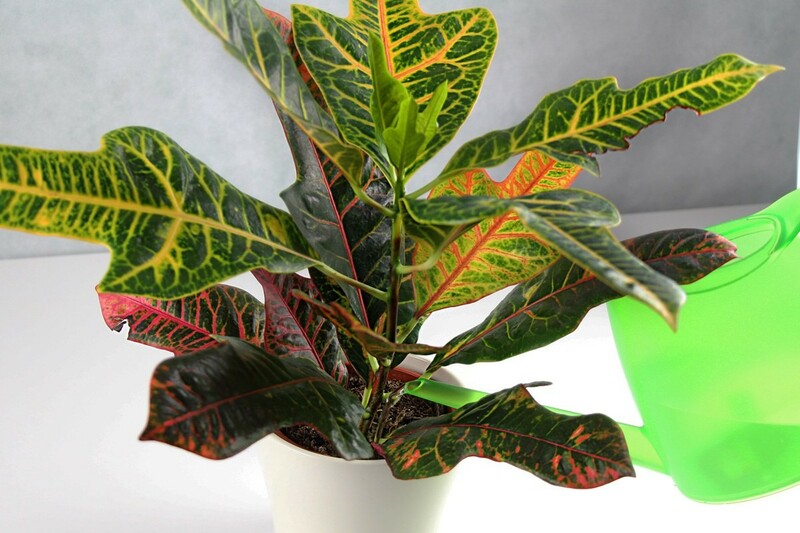 Codiaeum variegatum was the godfather for some splendid hybrids that, thanks to elegant leaf varieties and blazing color shades arouse the passion for collecting for the hobby gardener. 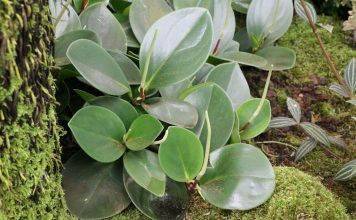 The premium variety impresses with its elliptical leaves. Dark yellow leaves are decorated with green dots, while predominantly green leaves are strewed with yellow dots. The sword-shaped leaves appear in young age with bronze colors. Over the years, the leaves turn gradually dark red. On the oval, oblong leaves the green color dominates. Following the descent start, yellow, red and pink shades are added. The spectacle becomes sensational when the vigorous leaf veins turn orange and red. With nearly circular and vigorous leaves, this wonder tree demonstrates impressively that the colors green and yellow can create a natural painting. 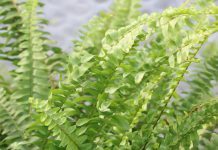 Its wide, green leaves thrive with wavy edges that turn yellow. The yellow colored leaf veins also look very decorative. 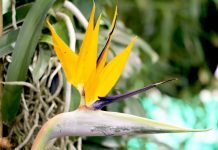 For an eye-catching emphasis the pointy ends are responsible, which in the course of the growth they can be twisted together.